Former Ukraine international Hennadiy Urbo has claimed that West Ham United are ‘sorry’ they paid £17.5million for Andriy Yarmolenko this summer. Urbo’s countryman joined the Hammers from Borussia Dortmund this summer but has failed to start a Premier League game for the club, and Urbo feels it’s inevitable that he will return to his homeland before long. “Everything points to the fact that he will soon return to Dynamo Kiev,” he told Ukrainian outlet Expres. “and we will note the fiasco of his foreign career. “It is unlikely that Yarmolenko will be able to make a bright career in the UK. Unfortunately he does not even reach the level of West Ham, which is temporarily in the last place of the tournament table. “The Londoners are sorry that they paid Borussia Dortmund as much as €20million,” he said. Well it’s certainly not been a smooth start for Yarmolenko or West Ham this season. The club has struggled in the Premier League so far this term, and yet the Ukrainian still cannot get in the starting line up. That tells you there’s something slightly wrong. 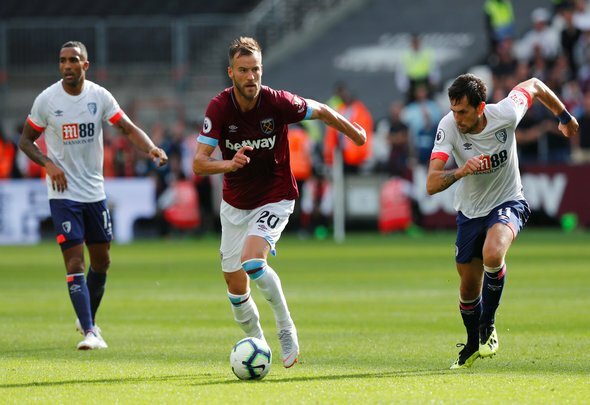 Perhaps it’s just taking some time for him to adapt to English football, as it often does with players coming from foreign leagues, but Hammers fans were surely hoping for more of an impact than the 28-year-old has delivered thus far. His career outside Ukraine hasn’t been nearly as bad as Urbo attests, although his best football remains what he displayed at Dynamo Kiev. He shouldn’t be written off by his countryman, or by West Ham supporters, quite so soon. He is a talented player and an experienced international; there still time for him to make a success of himself in East London.